Every mom will appreciate a day without having her baby cry all over the place., a good night sleep without being woken by her crying baby. This is why this article is put together to give moms practical ways to stop their baby tears straight away. Gentle rocking while speaking softly according to experienced moms works like magic. Change the baby’s location from a loud room to a quieter and dark room. It could just be that your baby needs some calm and peace. Get your baby’s dad to help you out his strong arms and deeper voice does the magic. when your baby is crying non-stop, you can lay your baby on his tummy while you rub his back. Try using soft toys or games to distract your baby from the tears. ever heard that skin-skin contact soothes a crying baby? surely it does. 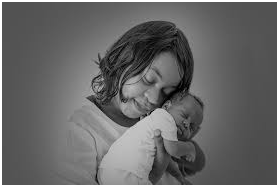 the mother’s warmth releases a surge of the loving hormones oxytocin and prolactin that helps to comfort the baby. singing to her in a gentle voice also works. cooled cucumber batons help kids crying from teething pains. you can distract your crying baby from tears by making funny faces. they will forget why they were crying in the first place. When all tricks fail, try acting like a Buffon by making a loud noise and waving my hand around so the baby wonders what the heck is wrong with you. over the internet without my permission. Do you know any techniques to help prevent content from being ripped off?